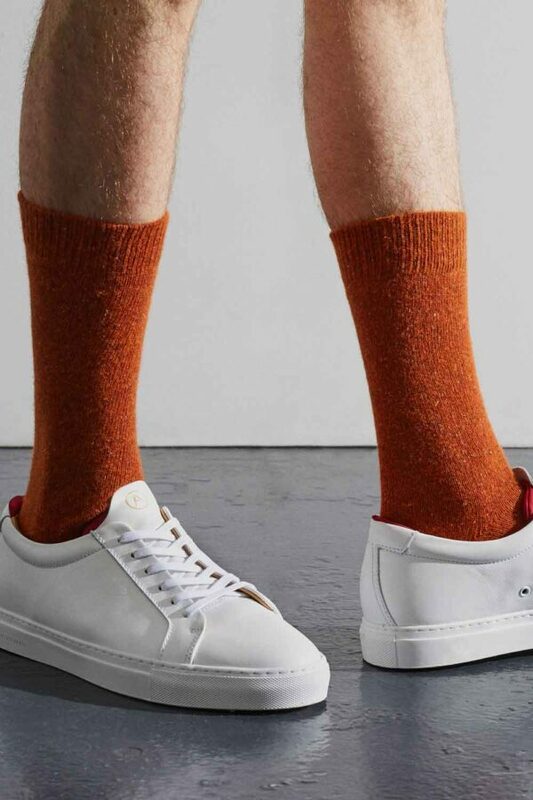 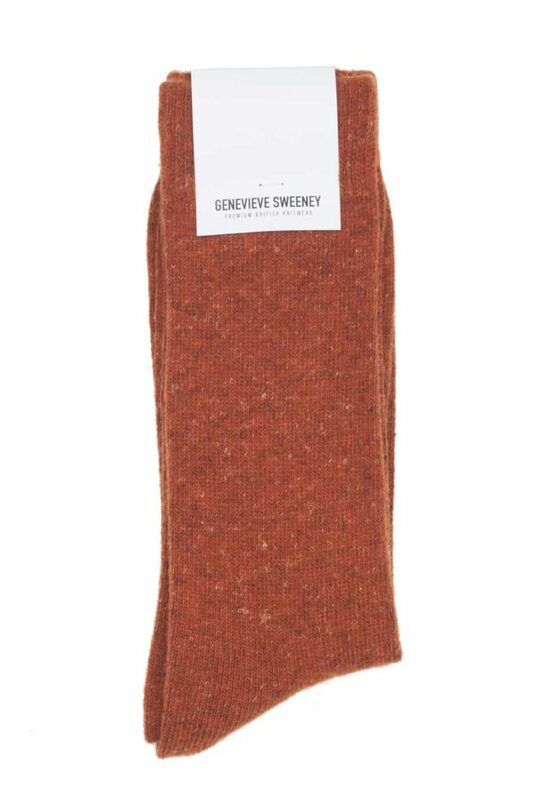 An autumnal blend of rich melange, look closely at the Sotolino sock in Burnt Orange you will see a rich combination of orange hues and warm accent tones. 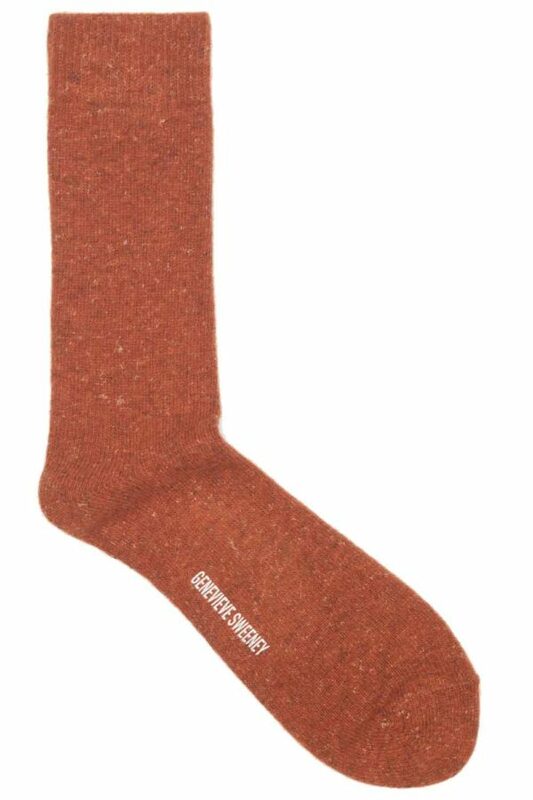 Made in Derbyshire by a family-run mill, the Sotolino Burnt Orange is knitted in the finest Italian wool linen blend. 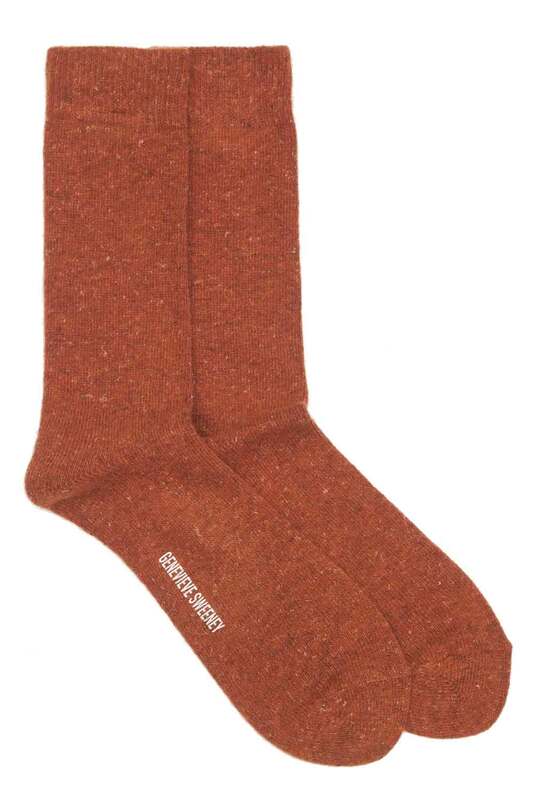 There is a textural look to the Sotolino with the coolness of linen and the softness of wool.